Rumors say that Chuck Norris can beat a brick wall at tennis. But what other secrets has the Texas Ranger already revealed? 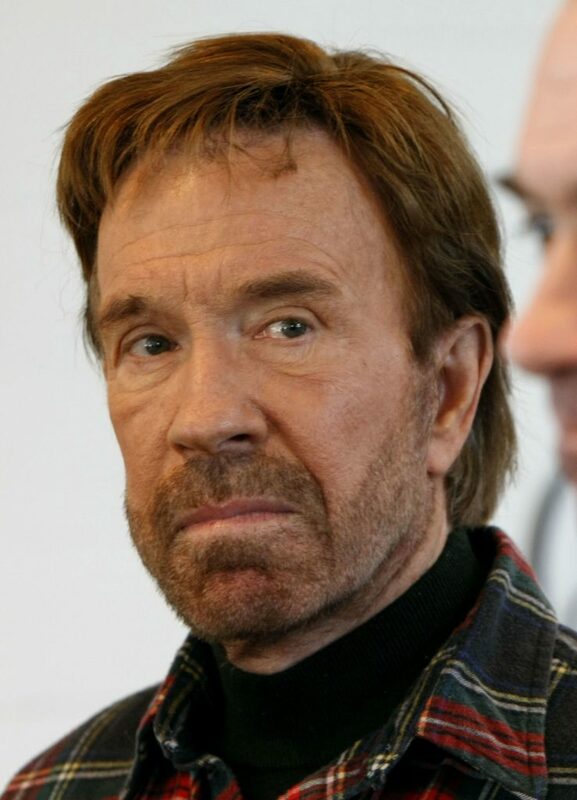 Chuck Norris is one of the most defining personas of our time. He has defined the virile, masculine symbol that the United States prides itself on. 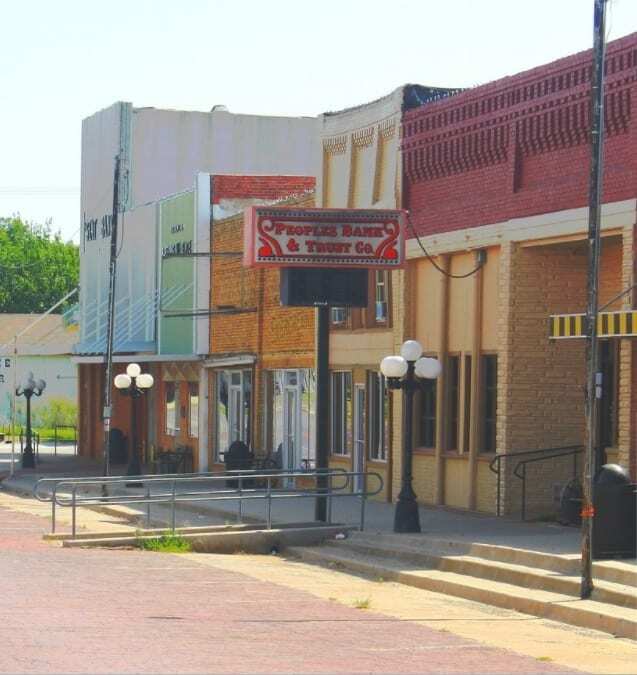 For many citizens, men and women alike, Norris represents the perfect American dream – a strong, confident, Reaganesque America that speaks directly our heart. He represents the hard-working men all across the nation, who built themselves up with their own two hands, the ‘little people’ who are getting crushed by the corporations. He was born as Carlos Berry Norris in Ryan, Oklahoma in 1940. Norris grew up in a broken home and was said to have been a shy, introverted child. Norris enlisted in the United States military and sent to serve as an Air Policemen in South Korea. There, he began learning martial arts and soon became a specialist. 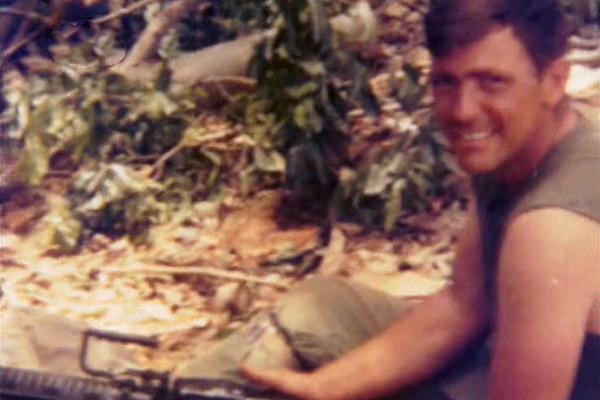 During his military service, he garnered the nickname “Chuck” from his fellow comrades. Norris loved it and upon returning to the United States, he decided to adopt the nickname as his own. 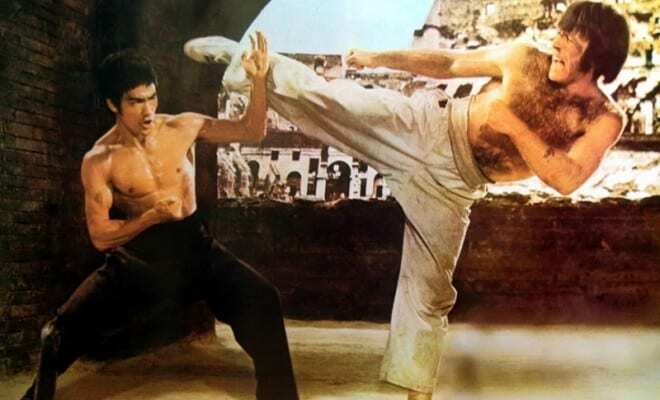 Coming from a military background and multiple forms of martial arts, Norris started his career as a martial arts teacher in the 1960’s before deciding to pursue an acting career in Hollywood. 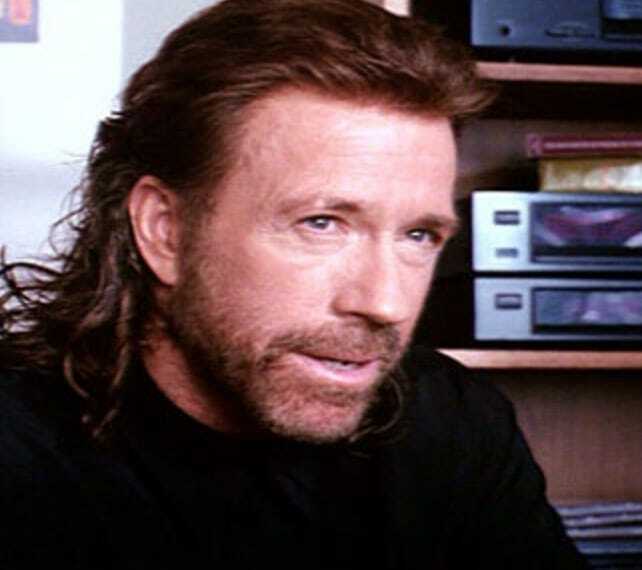 With talent and hard work, Norris quickly became a rising star in the action genre, appearing in genre-defining staples such as Delta Force and Walker, Texas Ranger. Today, he is a staunch supporter of the American troops and is a proud patriot. Despite being one of the richest actors in America, Norris is still perceived as very accessible and lovable by his legions of fans. Norris has elevated himself to cult icon status and is a favorite in 21st century popular culture. This is the incredible story of our favorite lone ranger. 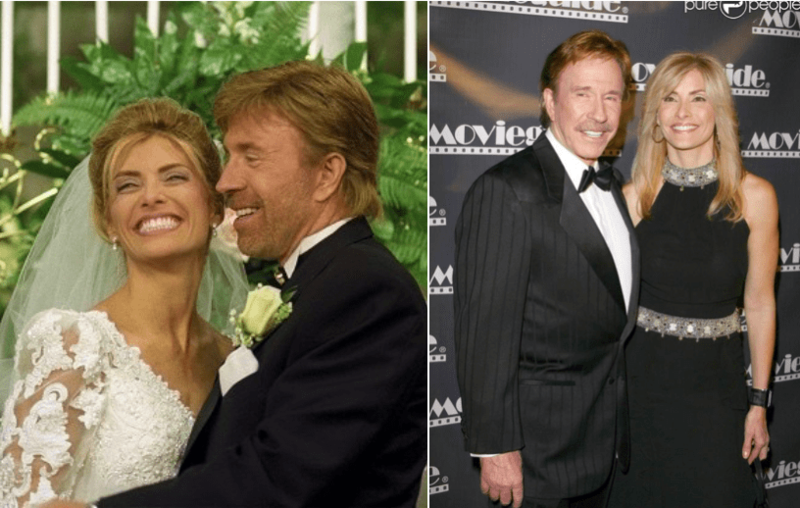 Chuck has been married twice in his life. He married his first wife, Dianne, in 1958. The two were married for thirty (!) years and had two children together, Mike and Eric. Here we see them during happier times, with Chuck sporting a mustache-free look! The couple announced their divorce in 1988, it was finalized later that year. Their divorce came as a surprise to his fans who thought his marriage was going very well. Alas, behind closed doors things were different. 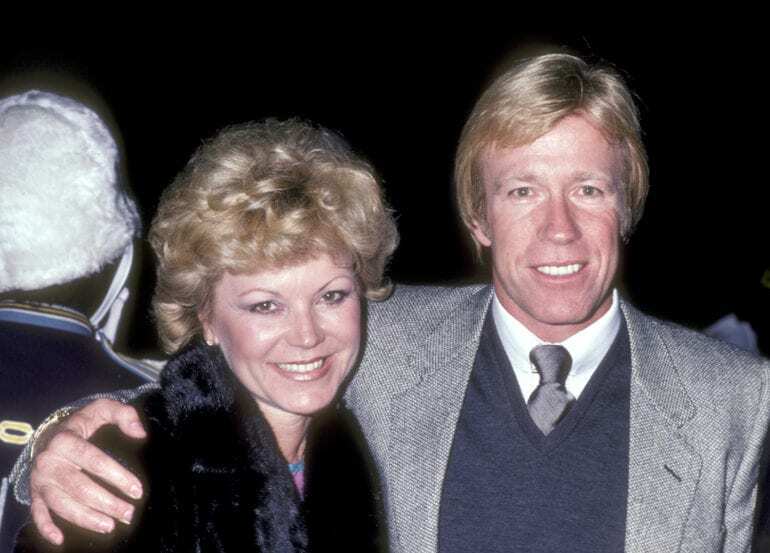 Following his divorce from his first wife, Dianne Holechek, Norris started dating Gena O’Kelly. Gena is 20 years younger than him than Chuck. O’Kelly, a former model and the deputy sheriff of Chester, California, met Norris through mutual friends while out at a restaurant in Dallas, Texas in 1997. After visiting him on the set and playing a small part in a Walker episode, they began dating and tied the knot in 1998. She gave birth to twins, Dakota and Danielle, in 2001. 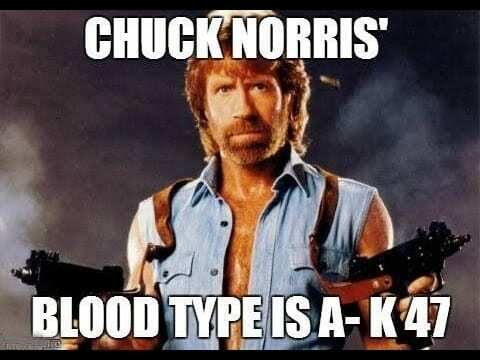 You may be surprised to hear that, in fact, Chuck is not Norris’ real name. Apparently, his original given name was Carlos Berry – his father named him after their minister in Oklahoma. It was only when he was based in South Korea during his military service that he garnered the nickname “Chuck” from his fellow comrades. Norris loved it and upon returning to the United States, decided to adopt the nickname as his own. 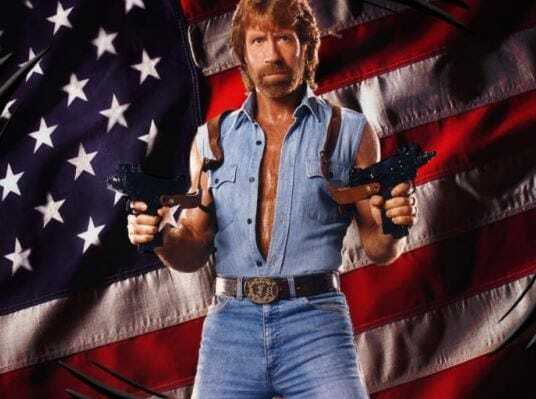 One of the things that Chuck Norris is accused of doing in his political writings is plagiarization. But the thing is, he allegedly is not plagiarizing a famous politician or political pundit, but is actually taking his own words and using them elsewhere. 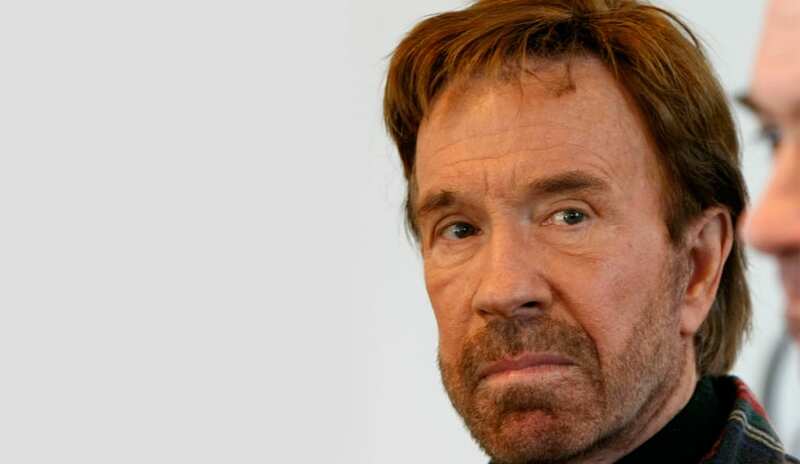 In fact, in a report on Gawker quoting a website called Wonkette, the website allegedly found entire paragraphs lifted from Chuck Norris’s own book and put on blog posts. 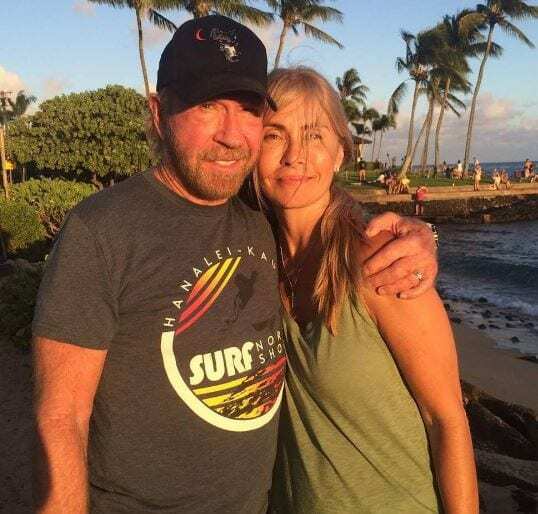 Chuck Norris’s wife Gena was undergoing MRI sessions in order to figure out if she had rheumatoid arthritis. However, she had been going to MRIs nearly every day for a week, and she began to feel as if her entire inside was being eaten alive by acid. Chuck saw it and said something, but the doctors turned a blind eye to her. It turns out that a heavy metal injected into her to help with the imaging was causing the pain. Once they stopped going to do MRIs, the pain subsided. Chuck Norris’ youngest brother, Aaron, is also a part of the film industry and served as a producer, director, and occasional actor. He began his career in Hollywood as a stunt man, then moved to appear alongside his brother in some of his famous movies, such as Good Guys Wear Black, The Octagon, and Lone Wolf McQuade. Aaron then transitioned to production and served as the executive producer of many episodes of Walker, Texas Ranger. 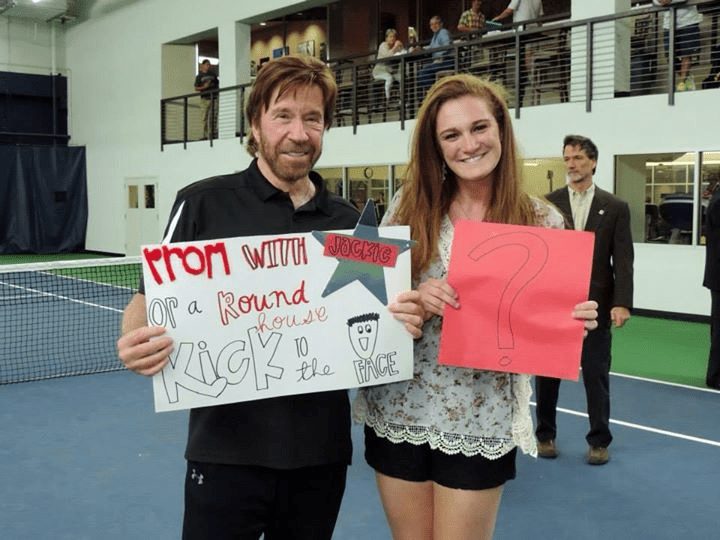 While the Chuck Norris’ internet memes and fake facts became an internet phenomenon worldwide, a university student named Ian Spector tried to cash out from the situation. After Spector published an entire book based on these facts, the actor filed a lawsuit against the author and the publishers in 2007, who were looking to profit from the book. Eventually, Norris changed his mind and dropped the lawsuit against Spector and Penguin Group Inc. for unknown reasons. 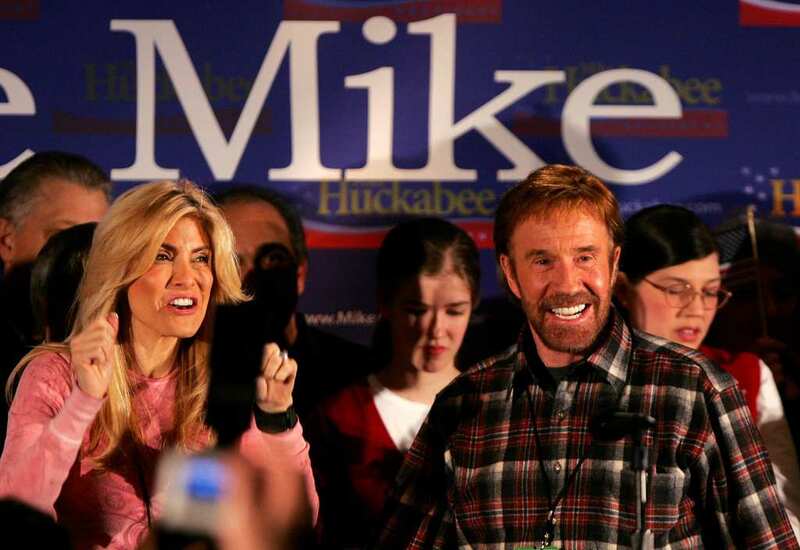 Chuck is known as a strong supporter of the Republican Party for many years, often backing Republican candidates during the various elections. The actor urged his many fans to vote during the United States Presidential Election of 2012. Many fans wished Norris would follow in the footsteps of another Republican actor-turned-president Ronald Reagan and become the next President of the United States. Norris, although an active blogger and political activist for several years now, has no interest in running for the presidency. For many years, Norris was known as a favorite of American combat troops. He also supported the military on many occasions, and was as an unofficial army spokesperson in the media. Although Norris served in the Air Force, he was presented with an honorary award from the United States Marine Corps in 2007. The veteran was named an “Honorary Marine” by Commandant General James Conway. Conway later said that Norris shares many similar values with the Marine Corps. 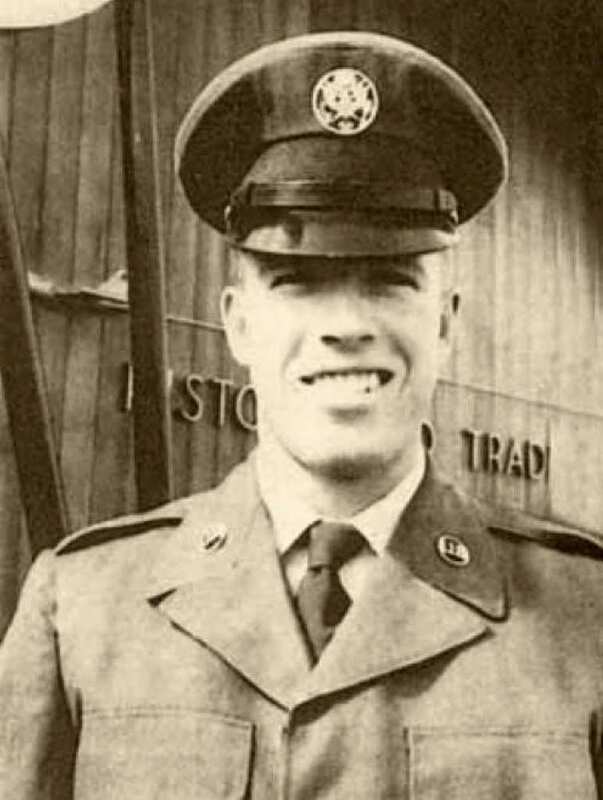 Norris’ family suffered a major tragedy when his brother Wieland was killed in Vietnam in 1970. Norris later said that his brother fell in the line of duty when leading his soldiers through enemy territory. His brother spotted a patrol of enemy troops laying a trap and tried to warn his men. The Viet Cong spotted Weiland and killed him where he stood. Norris was shattered at his brother’s death. He dedicated the movie Missing in Action to his brother. Michael Norris (known to the family as Mike), is Chuck’s oldest son. Mike followed in his father’s footsteps and became an actor in Hollywood. Like his father, Mike acted in several action films during the 80’s, such as Young Warriors and Born American. 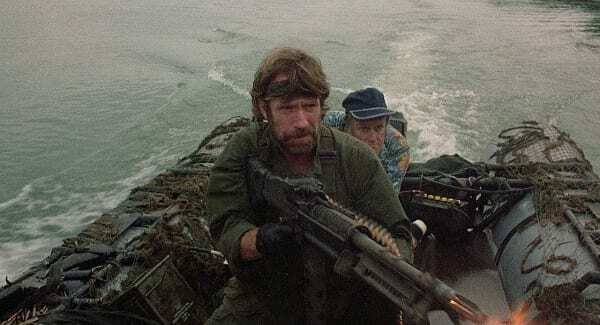 Norris also continued his father’s legacy by appearing in the third and final installment of the Delta Force movie series. Today, Mike and his wife own their own entertainment movie studio and are directing movies for the Christian community. 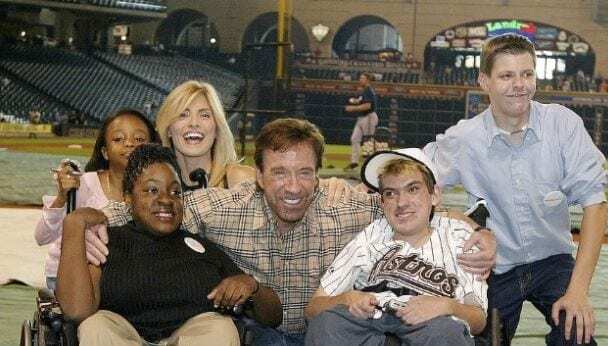 Chuck Norris is not exactly known for his singing voice, but that did not matter too much to the producers of Walker, Texas Ranger. Norris actually wrote lyrics to the song played in the opening sequence of the show, and wanted country music star Randy Travis to sing it. However, the producers instead decided to have Norris himself sing it. With a little bit of help from autotune, Norris’ song and voice appeared in the opening credits. Among his many philanthropic activities, Chuck Norris supports the Vijay Amritraj Foundation that is based in India. The foundation’s goals are to aid innocent victims suffering from tragedy and disease in many parts of the country. Norris’ donations helped the Vijay Amritraj Foundation support pediatric care homes in Delhi, mentally-ill patients in Cochin, and a school for the blind in Karnataka. Deep in the heart of the jungles of Jamaica outside of Ocho Rios on the north side of the island lies a river which flows out to the sea. Not many people know about it, and the river itself is quite hard to find. However, this river drops over an edge, an edge which has been named after that action hero great Chuck Norris, specifically due to the fact that there are tons of cliffs from which it is possible to jump into the azure waters. 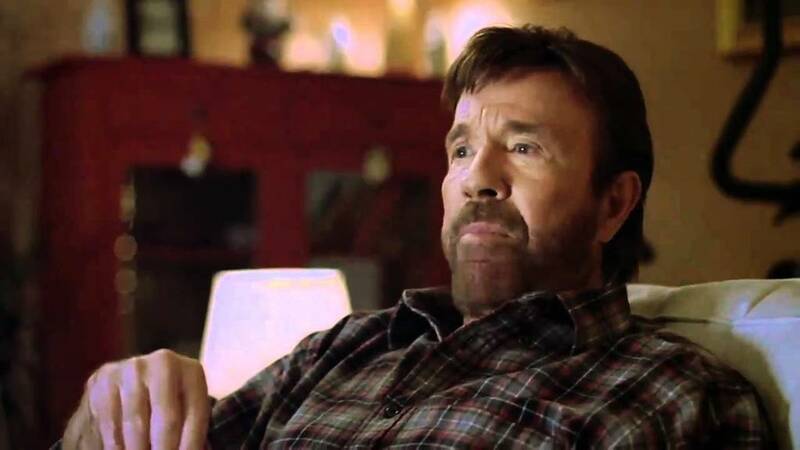 One of the biggest things that Chuck Norris did for the world was end communism, or at least help to end it. But he did not end it by punching a hole in the Berlin Wall. Instead, his movies and television shows were smuggled into Soviet Bloc countries where the citizens watched the movies at secret viewing parties. The citizens of these countries realized how far behind the rest of the world they were and how free the West was, ultimately leading to the fall of communism. Throughout his life, Norris has always outspoken about his Christian faith. Norris, who is known as an avid supporter of Biblical creationism, wrote several books on Christianity that reached to the top of the best-selling lists in the Unites States. The martial arts specialist had also appeared in many TV commercials to promote religious causes such as prayer in schools and bible study sessions. According to Norris, these causes could help lower the level of youth substance abuse in school all across America. 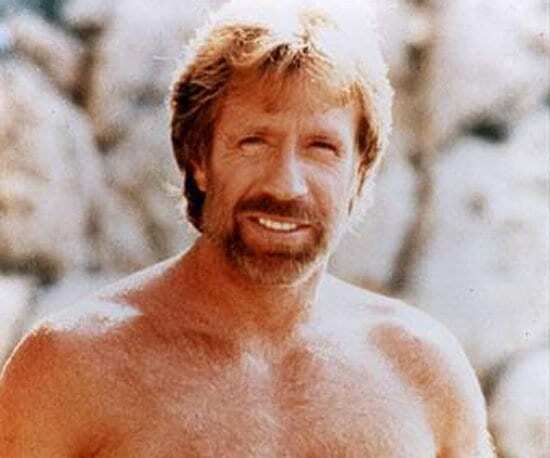 Chuck Norris is all tough and masculine but has a light, humorous side to him as well. During a Fox Sports Program, Norris began to read a list of highly-publicized satirical facts that have been said about him in front of a live studio audience. Among his favorites were “When the Boogeyman goes to sleep every night, he checks his closet for Chuck Norris.” He later noted that his personal favorite was “They wanted to put Chuck Norris’s face on Mount Rushmore, but the granite wasn’t hard enough for his beard”. After Norris was honorably discharged from his military service in Korea, he opened a number of martial arts schools in California. 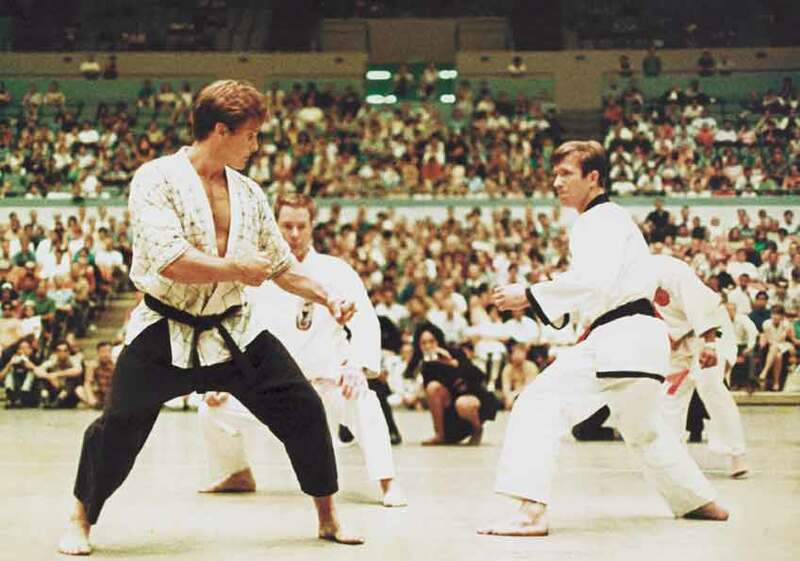 While he trained other students, Norris was a full-fledged Karate master who participated in many national competitions during the 1960’s. After a few years, he became the middleweight professional karate champion of the world. His incredible success attracted other famous martial artists, such as the late Bruce Lee, to him, wanting to collaborate. Although he maintained an extensive film career, Norris is mostly known for his role as Colonel James Braddock in the Missing in Action movie franchise. Norris, who appeared in the first two installments, played a former prisoner of war who returns to Vietnam to rescue his fellow comrades from imprisonment by the Viet Cong. Norris performed the majority of the stunts in the films himself. The movie franchise was a major success and launched Norris to international stardom. 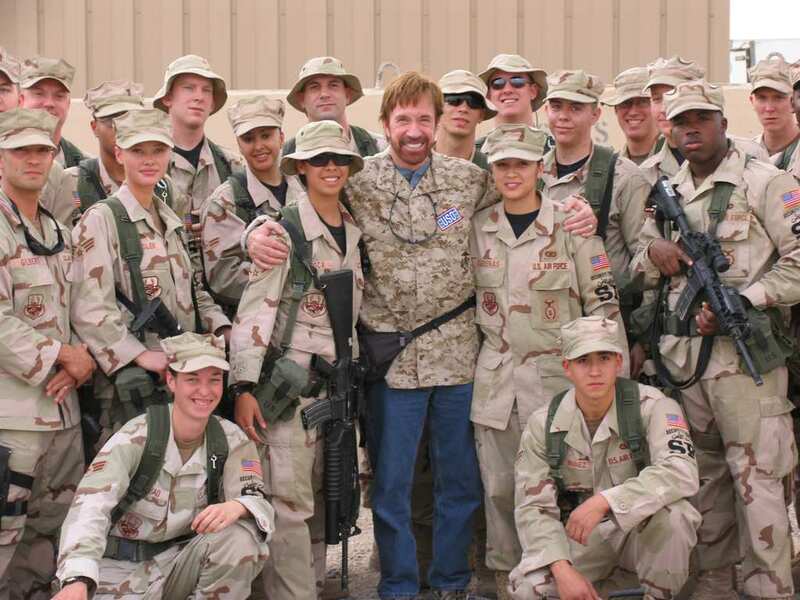 Due to his military service in the United States Air Force and being a strong supporter of the veterans community, Chuck Norris was honored as “Veteran of the Year” in 2001. Norris gladly continued with his efforts and used his public persona in order to deliver the United States Veterans Administration’s agenda to the general public. Among his objectives – to bring attention to important issues such as veterans health care and pensions funds. 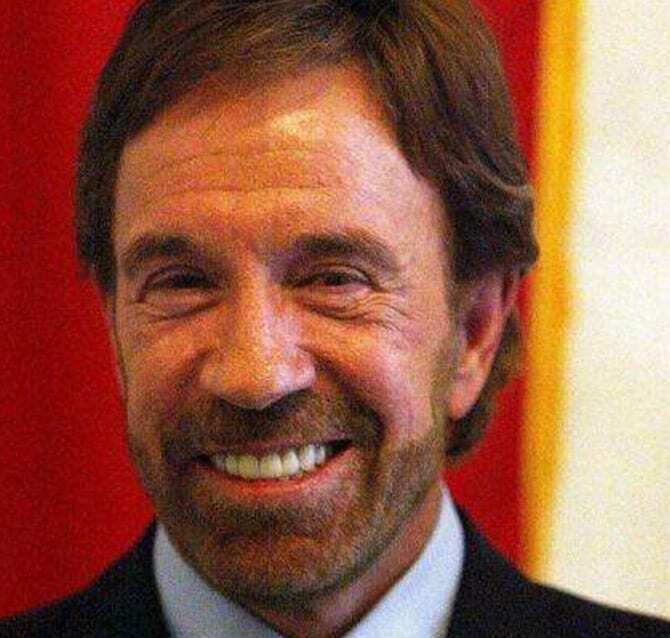 Chuck Norris was born in Oklahoma in 1940. His father was an automobile mechanic and former soldier who fought during World War II. Chuck recalled that his father would drink heavily during his youth, and would sometimes go on alcohol binges for months, making him ashamed of his father. After suffering from a broken marriage for many years, Chuck’s parents divorced. Chuck and his siblings moved to live with his mother in Torrance, California. 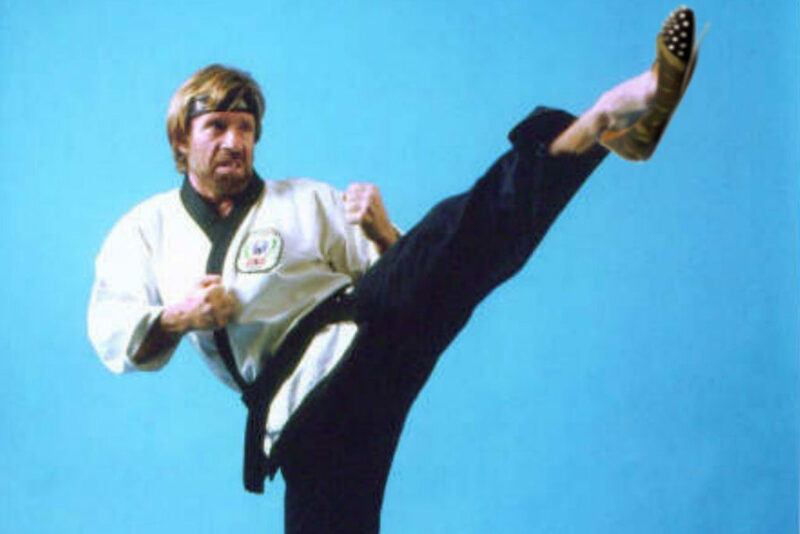 During his military service in South Korea, Chuck Norris decided to invent a new form of martial art that he called Chun Kuk Do (The Universal Way). Chun Kuk Do is a hybrid of many fighting styles that Norris learned during the years leading up to that. Like any martial arts, Chun Kuk Do’s has a code. According to Norris, the code is based on developing your physical skills to the maximum of your ability, while working on developing a large sense of love and loyalty to your family. 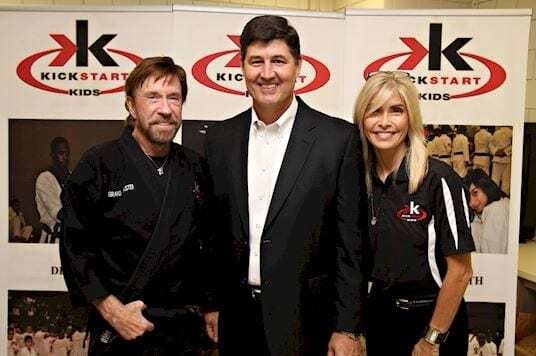 Norris used his vast experience in the field of martial arts in order to open several Karate schools in California, where he also taught many students, including many celebrities. Some of his famous students over the years include members of the Osmond family, Priscilla Presley, and legendary actor Steve McQueen. Norris and McQueen became good friends. It was McQueen who encouraged Norris to pursue a career in Hollywood and take acting classes at MGM studios. In addition to his many specialties in the field of martial arts, Norris also made history in the field. In 1990, he became the first warrior from the Western part of the world to ever be awarded the level of 8th degree Black Belt Grandmaster in Tae Kwon Do. 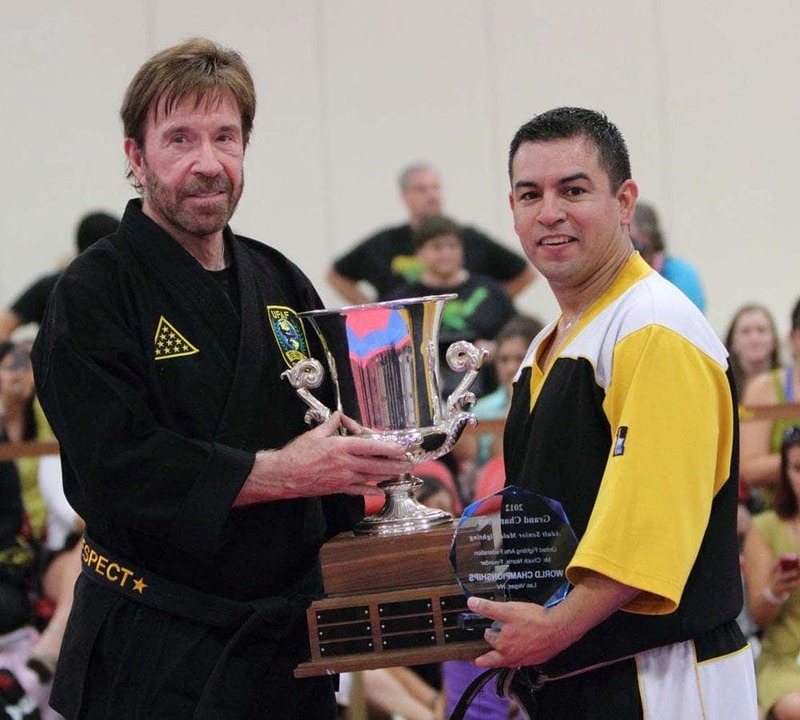 Norris’ receipt of this award was the first time it has been given to a westerner in 4,500 years of martial arts history. Norris later recalled the event, saying that the award still humbles him to his core. 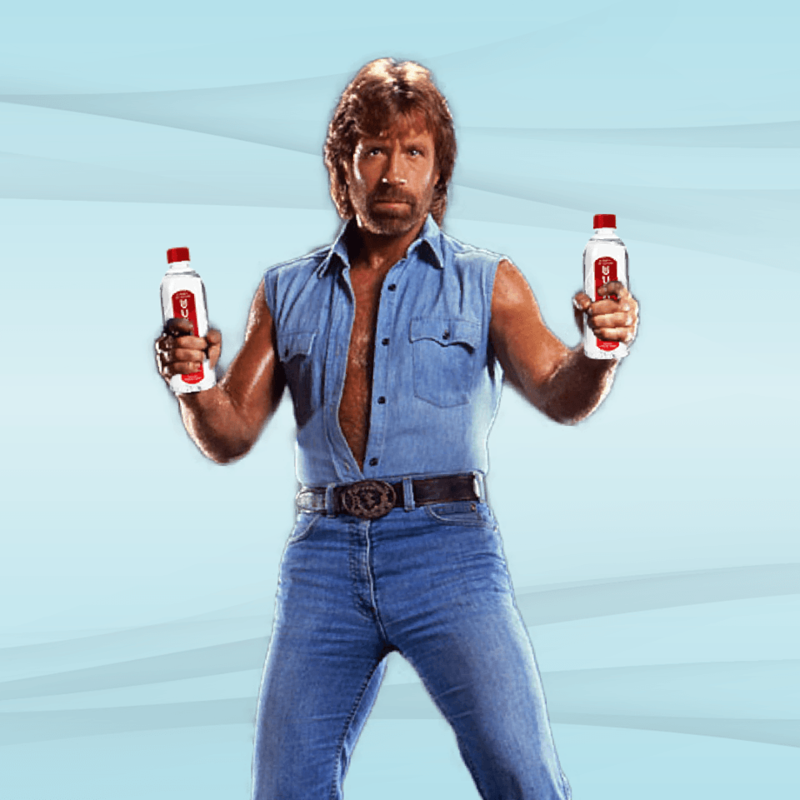 Due to his worldwide fame, Norris was chosen to be featured in many commercials and endorse a long list of products. Among his many appearances, the actor did a television commercial with former model and actress Christie Brinkley, and served as a spokesperson for the famous video game series World of Warcraft. In addition, Norris was also successful in Europe, as he appeared in a T-Mobile commercial in the Czech Republic and in several commercials for Polish Bank BZ WBK. Due to his appearance in several successful action movies, Norris became synonymous with Hollywood star in the 80s. The actor then tried to capitalize on his success by appearing in comic books and a cartoon series. Unfortunately for him, both of them were unsuccessful. 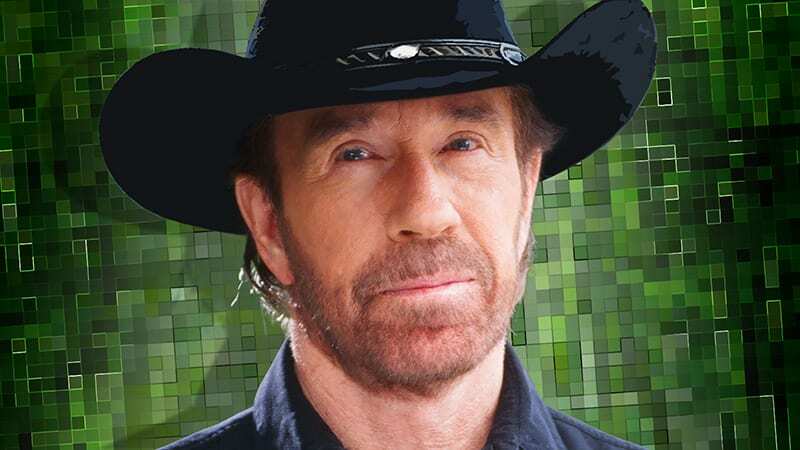 His cartoon series Chuck Norris: Karate Kommandos was cancelled after just five episodes. The comic book adaption of the series was issued by Marvel but lasted a measly four issues. In addition to his many talents and hobbies, Norris is also an amateur speedboat racer. According to Chuck, he was introduced to the adrenaline-pumping sport in the late 80s by fellow actors Don Johnson and Kurt Russell, in what they perceived as the best way for action stars to bond. When asked about the highly-dangerous hobby, the actor replied that he does it for the thrill of it, as well as competing against his friends. Chuck did not earn his title as ‘The Invincible Man’ for nothing. From 1968 through 1974, Norris didn’t lost a single match. He proved to be one of the best martial art experts in the world, losing a minuscule 10 matches (all of which occurred before to 1968) and winning a total of 168 matches. Norris was also inducted into many halls of fame, such as Kickboxing and the International Karate halls of fame. 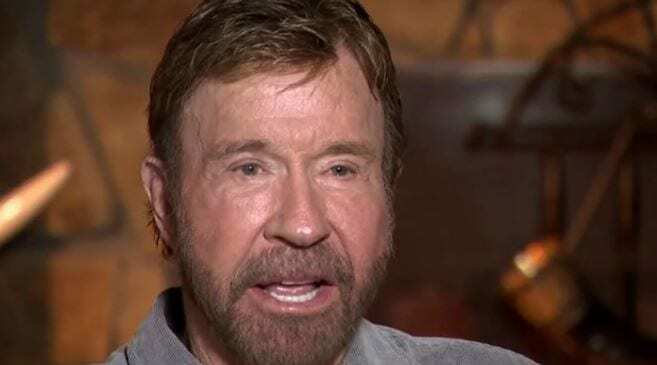 This may come as a shock to some Chuck Norris fans, but the martial artist and actor grew up in a mixed-heritage family. Norris revealed that while part of his family is of Irish ancestry, he is also part native American, specifically Cherokee. Norris said that he is extremely proud of his ancient heritage, but also revealed that he has been bullied in during his primary school days for that very reason. Norris was invited as a special guest star to the World Wrestling Federation Survivor Series event in 1994. The martial arts expert was appointed an Outside Enforcer in the critical match between Yokozuna and The Undertaker. As things started heating up in the tournament, one of the wrestlers, Jeff Jarrett, went to help Yokozuna win the Undertaker. Both the audience and Jarrett were surprised when he was suddenly attacked by Norris, who delivered a roundhouse kick to Jarrett. 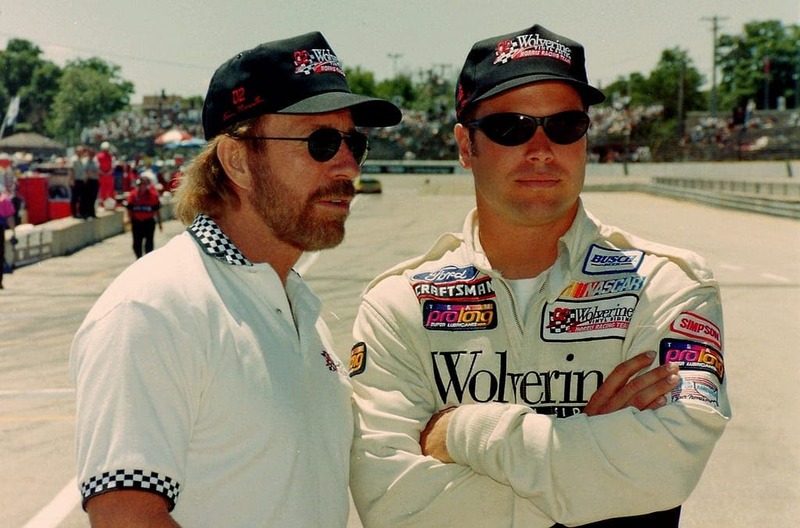 Eric Norris, Chuck’s second son, is a former Nascar driver and stuntman. After graduating from Arizona University, Eric began competing as a professional race car driver, subsequently winning the Nascar Winston West Series Championship in 2002. Eric also worked as a stunt driver and occasional actor in many productions in Hollywood, such as in Office Space, National Treasure, and Universal Soldier. 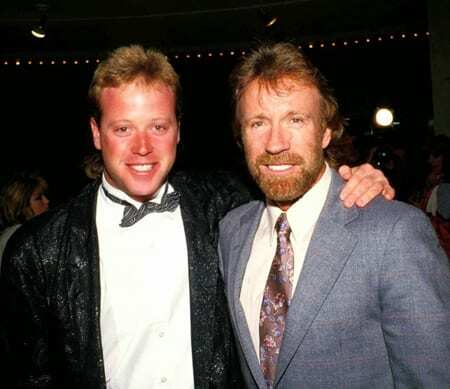 Chuck supported Eric’s career choices and loved the fact that he got to work with Eric on Delta Force and Walker, Texas Ranger. 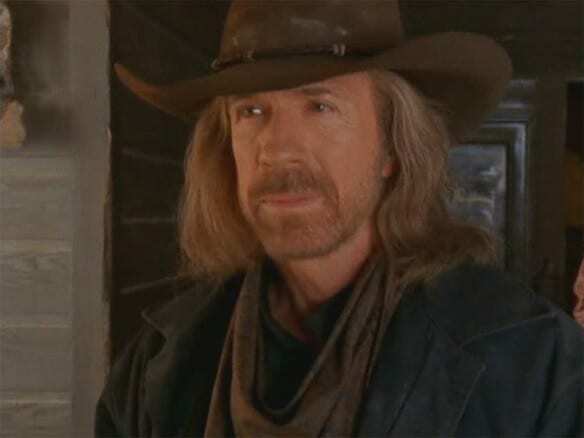 Chuck Norris made a glorious comeback in the 90s with the successful CBS series Walker, Texas Ranger. The show was based on the adventures of a Texan Sergeant called Cordell Walker, who Norris played. 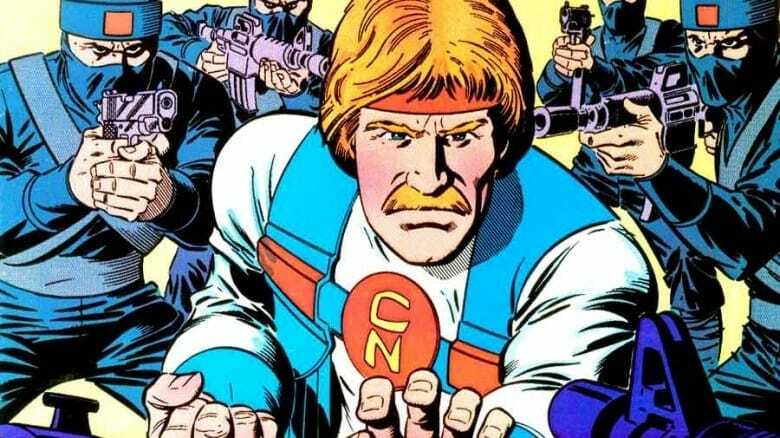 Walker, whose life story bears certain similarities to Norris’, is a martial arts expert that fights crime and terror along with his companions. The show had a strong cult following and was successfully aired for eight seasons, while also being broadcast to over 100 countries all around the world. 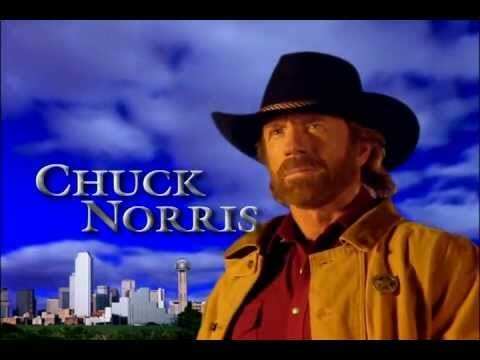 In 2005, Norris made yet another amazing comeback with an internet meme called “Chuck Norris Facts”. The meme details fictional feats and characteristics about the virile, masculine actor, who was often portrayed as having an otherworldly strength that borderlines absurdity. Norris’ popularity soared to newfound heights almost overnight thanks to the internet and social media, and he soon became an internet phenomenon. Norris met the famous martial artist Bruce Lee during a martial arts demonstration in Long Beach California. The two became friends and decided to work together. Norris appeared opposite Lee as a villainous American sensei named Colt, in the 1972 Hong Kong movie Way of the Dragon. The film is considered Norris’ breakthrough role in the film industry. To this day, Norris is still primarily known for that role in many parts of Asia. Since the beginning of his career in 1962, Chuck Norris had earned substantial amounts of revenue from various sources of income. Initially, he taught martial arts and won many competitions, before becoming a movie and television star in the 70s. Furthermore, he participated in numerous commercials around the world, while also having his own comic franchise. Reportedly, his current net worth is more than $70 million. Chuck Norris has his own water company. He sources the water directly from his Lone Star Ranch located in Navasota, Texas. The brand is called CForce water and is taken from a spring on his property and bottled at the source. The company takes pride in the fact that it is minimally filtered, thus leaving the essential nutrients in the water. The water comes in a biodegradable bottle and the proceeds are used to fund Norris’ philanthropies. Chuck has been working with and promoting the Make a Wish Foundation for over four decades. The Make a Wish Foundation is a foundation that enables children who are dying of a terminal diseases to be able to do one last thing before they go. They can do just about anything they want – from meeting a favorite celebrity to going on an awesome trip. Norris has gotten his fair share of last requests himself. One of the things that Norris believes is that given the right schools, motivation, and discipline, anyone can achieve greatness. It was for this reason that Norris decided to start an organization called the Kick-Start Foundation. The Foundation teaches martial arts to children in at-risk situations, helping instill discipline in them so that they can succeed in the future. The program is also successful at getting kids out of gangs. 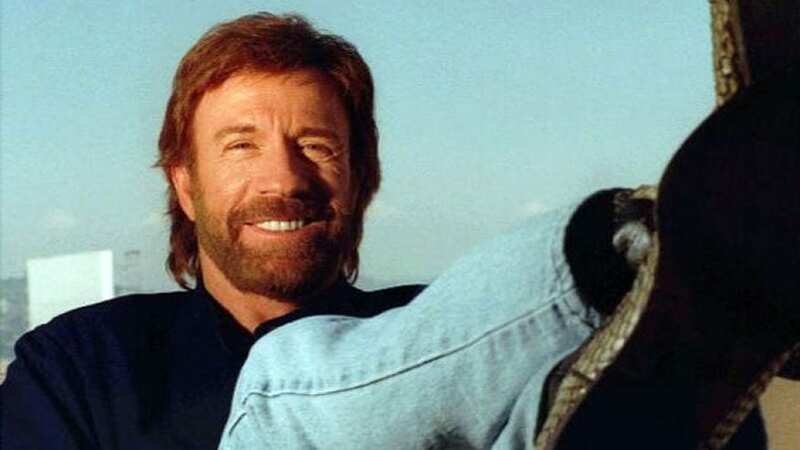 After reprising the role of an elite Texas Ranger throughout the 1990s and early 2000s, the State of Texas finally decided to award Chuck Norris with the title of Honorary Texas Ranger in 2010. He was given the honor in a ceremony presided over by then-Governor Rick Perry at the Texas Department of Public Safety office in Dallas. Chuck’s younger brother, Aaron, also received the award as he was in charge of Chuck’s stunts on the show. Chuck writes a column for a publication called World Net Daily. The website is a hard right and conservative website, and is often a target for far left progressive bloggers. One of these far left bloggers, Wonkette, did some research and alleged that one of Chuck Norris’ articles on World Net Daily may have been plagiarized. The story was then picked up by the website Salong. Norris has not commented on the allegations. Norris is in great shape for a man pushing 80. In fact, he is in great shape for a man of any age. Ask him how he does it and he will tell you that it is because of his Total Gym fitness machine that he has at his house. A Total Gym is a compact piece of equipment that can transform into nearly any machine at the gym. 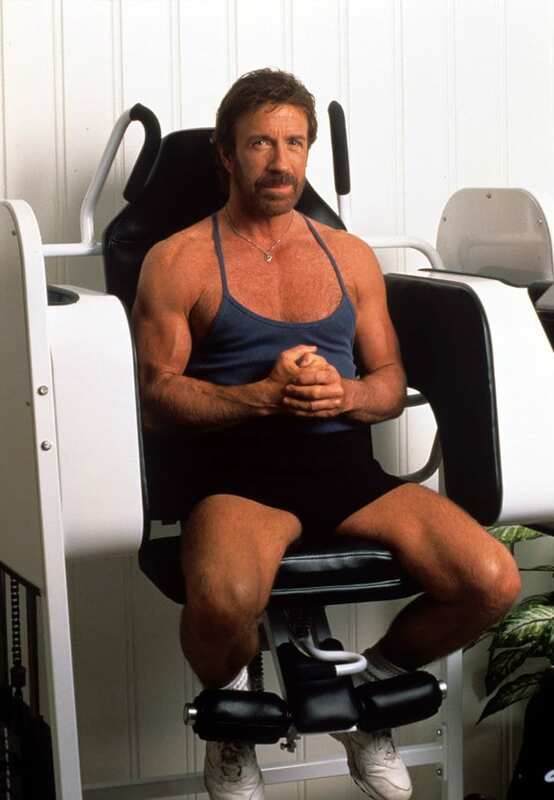 Chuck is one of the spokespeople for the fitness machine. 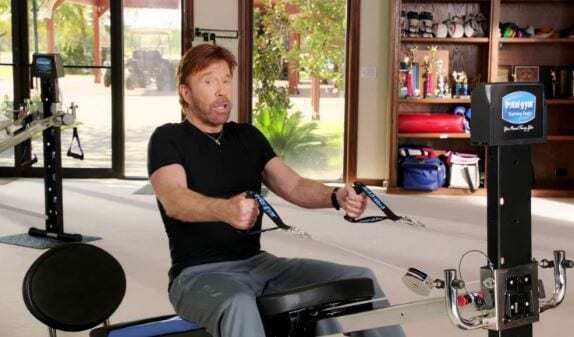 Chuck was also in Total Gym’s first infomercial. 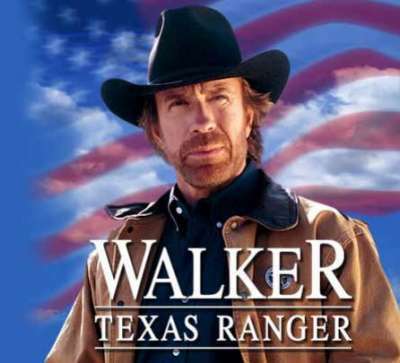 Walker, Texas Ranger was a cult favorite of the 2000’s. It resurfaced when it was used as a part of Conan O’brien’s late night talk show. During the sketch, O’Brien would pick a random action scene from the show and would then take it out of context. 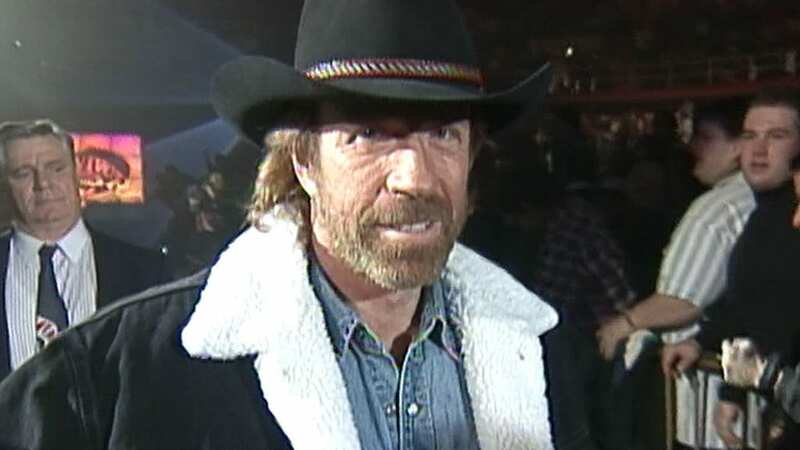 The show even managed to bring Norris himself, who made a surprise guest appearance by doing a parody on several of his own action sequences from Walker, Texas Ranger. Throughout his career, Norris has mastered many forms of martial arts. Following his initial training, which he got while serving in the army in South Korea, the martial arts specialist progressed and perfected many of his fighting skills. Norris is trained in Judo, Karate, Tang soo do, Taekwondo and even spent an extended period of time in Brazil to study Brazilian jiu-jitsu. In addition, he invented and still teach his own form of martial art, called Chun Kuk Do. The first season of the show Walker, Texas Ranger had a different theme song than the song we know and love today. The song was written and composed by Tirk Wilder, and had the same look, feel, and sound as many other TV shows from the 80s. However, this was a new decade, and the show’s producers wanted something different, so they took a song called “Eyes of the Ranger” and turned that into the theme song halfway through the second season. There was a spinoff series that was written as a take on Walker, Texas Ranger. The producers had a similar show with similar characters, and believed that they would be able to emulate the success of Walker. However, the show, Sons of Thunder, did not do very well at all. Despite the fact that the show was written by and starred Chuck Norris, Sons of Thunder only lasted six episodes. 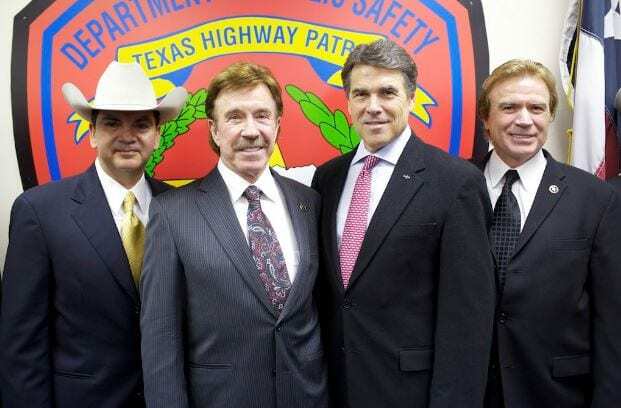 Despite the fact that the show has been off the air for nearly two decades, Walker, Texas Ranger is still one of the most beloved shows in, you guessed it, Texas. 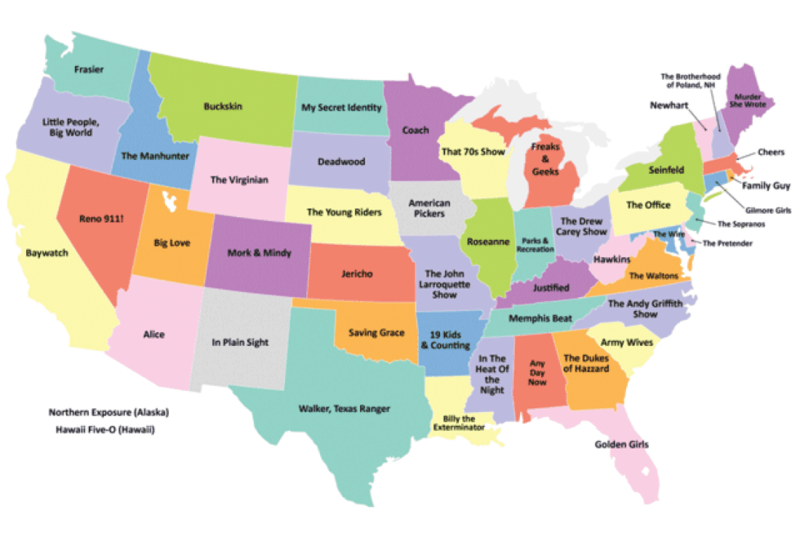 According to a Business Insider poll of people’s favorite shows set in their home state, the vast majority of Texans really loved and identify with Sgt. Cordell Walker, who was played by Norris. Not content to let the Walker, Texas Ranger show simply end in 2001, Norris decided to release a movie called Trial by Fire. Starring Norris Walker in 2005. The movie centered around the Texas Ranger as he tried to find a terror group planning to steal US government ammunition in order to commit an act of terror. The movie was panned by audiences, and arguably has one of the worst movie endings ever filmed. 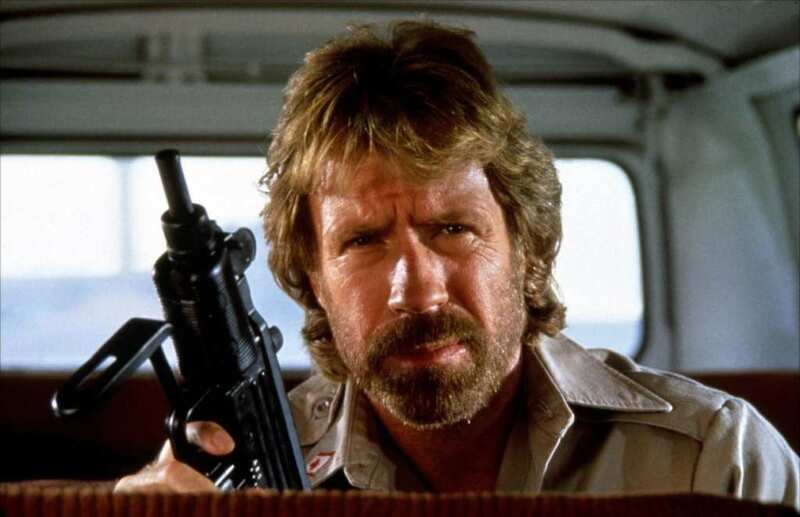 Despite pushing 77 years of age, Chuck Norris continues to act in big budget action movie productions. 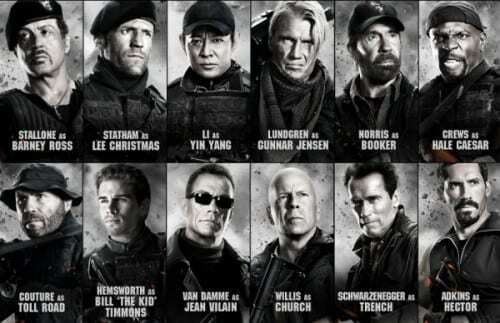 The most recent of these intense movies was Expendables 2, where Norris starred alongside action movie stars such as Sylvester Stallone, Jason Statham, Dolph Lundgren, and Jet Li. Jean Claude Van Damme even came out and filmed a few scenes. In what is perhaps one of the most interesting facets of Texan culture, a culture that prides itself on independence, grandioseness, happiness, and above all else – being from Texas, it is a little ironic that their hero and favorite television actor is not even from their state. Despite being a mere one mile from the border, Chuck Norris was actually born and raised on the other side of the Red River in Oklahoma. 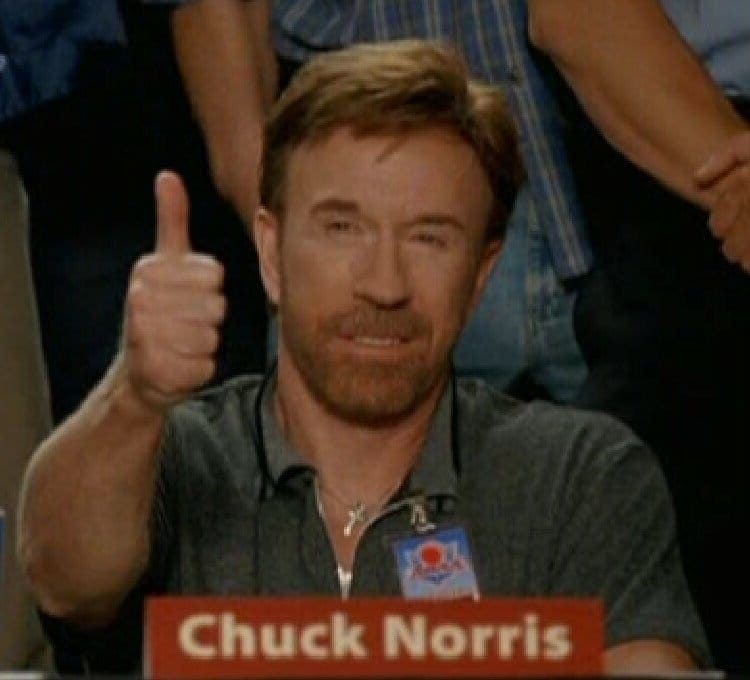 Did you know that Chuck Norris can understand sign language? Or that Chuck Norris beat the sun in a staring contest? 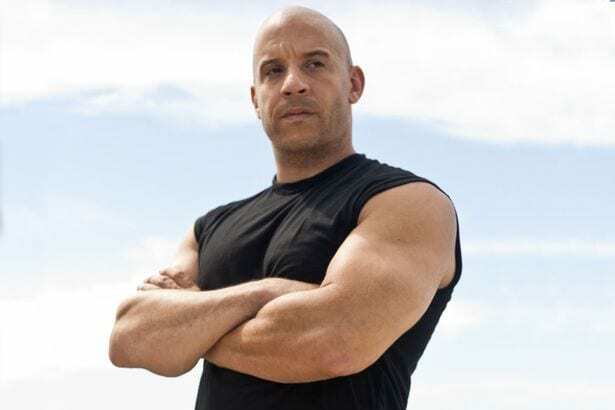 Or that all of these statements were once used to be said about Vin Diesel and not Chuck Norris? Well, that last one is true. The famous meme of Chuck Norris being a superhuman actually started out as a Vin Diesel generator meme. Eventually, someone switched out Chuck Norris for Vin Diesel, and the meme stuck. Although Norris officially retired from the movie industry in 2004, he could not refuse an offer from fellow actor Sylvester Stallone. Stallone met with Norris and asked him to participate in the second installment of The Expendables series, that came out in 2012. The film even referenced his famous ‘Chuck Norris Facts’. 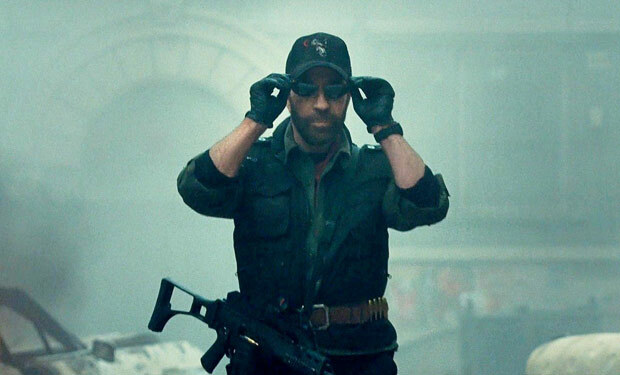 Norris appeared in the movie alongside other action heroes from different generations, including Jean-Claude Van Damme, Dolph Lundgren, Bruce Willis and Arnold Schwarzenegger. Back in 2015, the United States Military was conducting an exercise named Jade Helm 15 across the southwest. This exercise, divided the southwest into friendly and enemy territory, with Texas being labeled “hostile.” Chuck Norris wrote an article alleging that the exercise was a dry run of a federal government plot to take over Texas. He encouraged both the governor and Senator Ted Cruz to figure out what was going on. 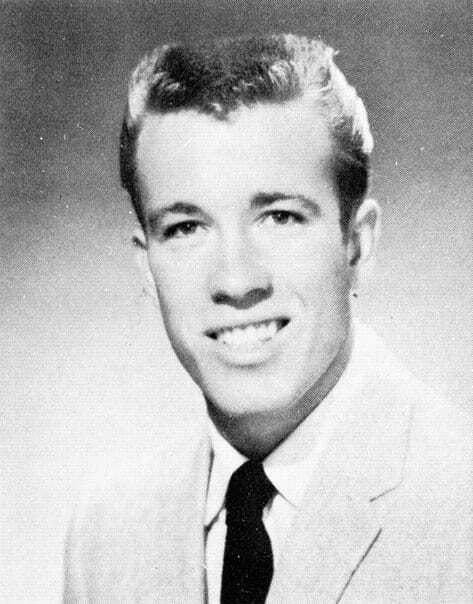 After finishing high school, Norris decided to join the military and enlisted in 1958. He served as an Air Policeman in the United States Air Force, and was stationed in an American base in South Korea. There, he began his training in martial arts, specifically Tang Soo Do. 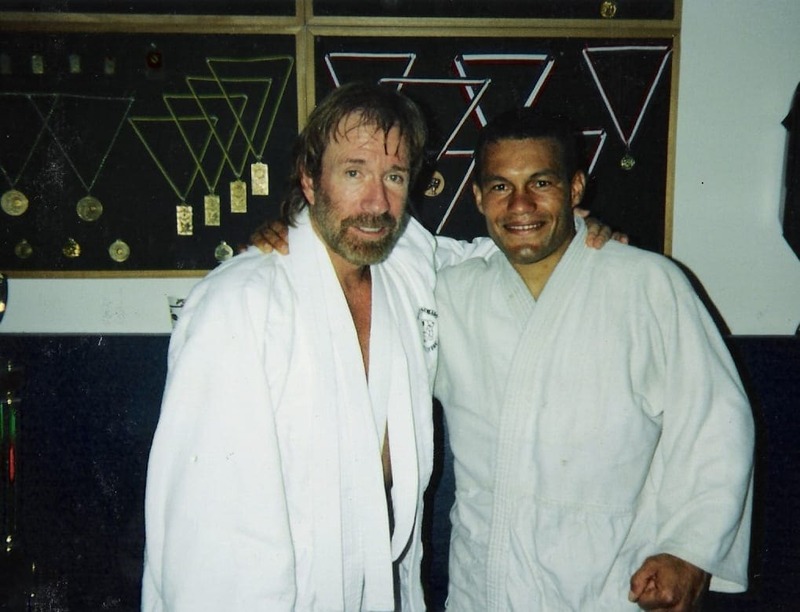 Chuck eventually earned a black belt. Upon finishing his military service, he continued to serve as an Air Policeman in an Air Force base in California. In 2004, Norris revealed on Entertainment Tonight that he had an extra-marital affair in 1964, resulting in the birth of his daughter Dina. According to Norris, he first learned about her existence when he received a letter from her, explaining their familial relationship when she was 16. Norris and Dina finally met in person when she was 26, at which time Norris said that he knew she was his daughter from the moment he saw her.